I know apple pie is a fall and winter favourite. Not what you'd be up to when daffodils are popping from the ground. But I'm an apple cake addict. 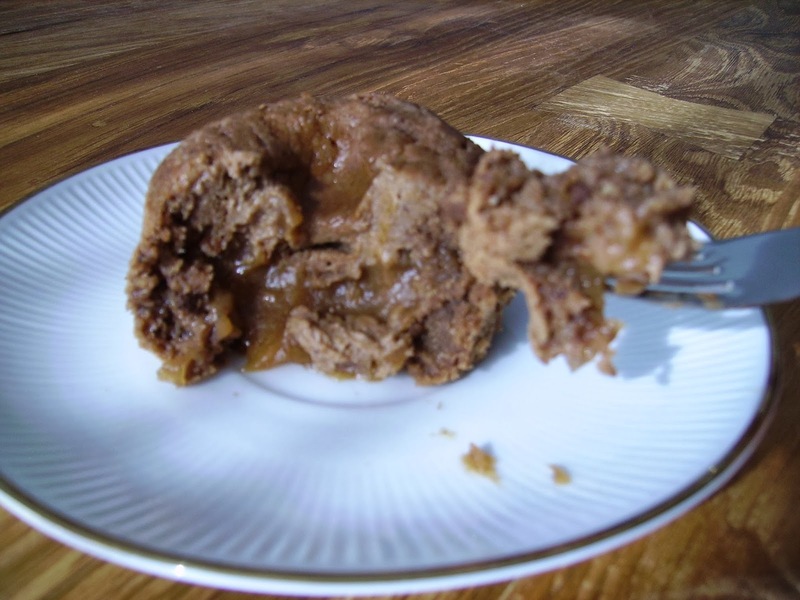 I eat apple cake in every form and shape, at any time. One of my favourites is British apple crumble. And I love molten lava cakes. 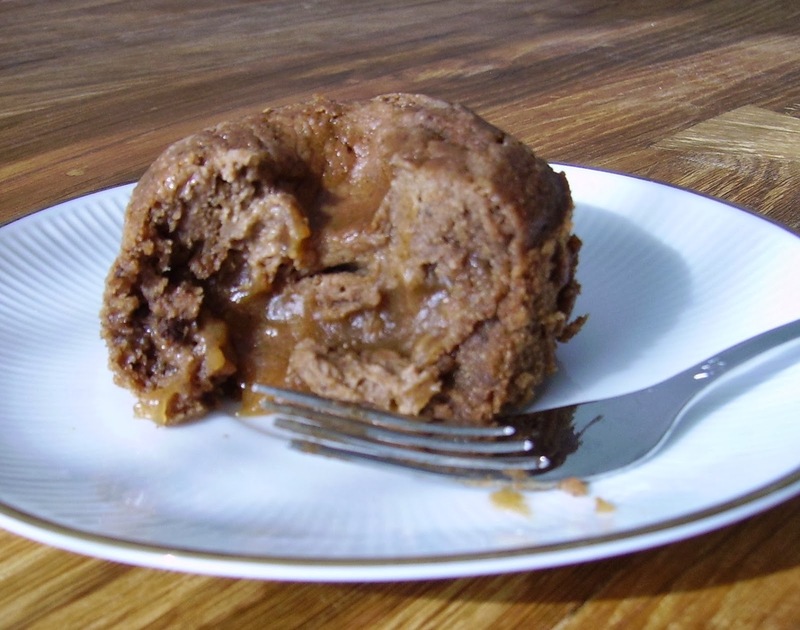 So I decided to marry molten lava cake and warm, spicy apple cake. And it turned out to be a most harmonious marriage! 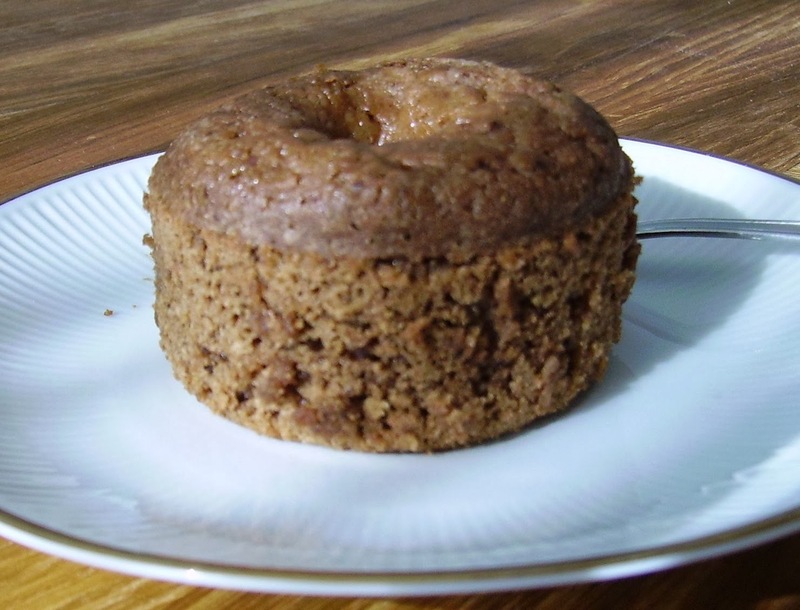 Think of spice cake with warm, gooey apple filling. Is there any sensible reason why something that good shouldn't be eaten all year? Grease a small soufflé dish. Combine first 7 ingredients in a cup. Combine remaining ingredients except for the filling ingredients in another cup. Combine ingredients for the filling in another cup. Pour half of the cake batter into the greased soufflé dish. Pour filling in the middle of the batter. Bake at 350°F / 180°C for 15 minutes. 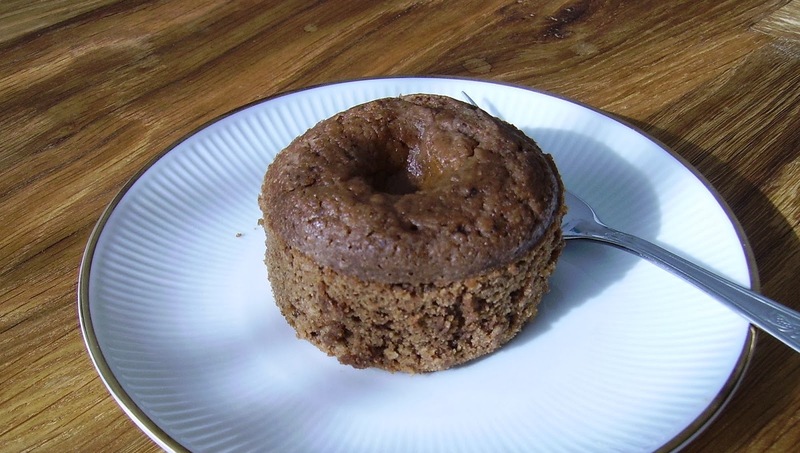 With a knife, loosen the sides of the cake from the dish and dump the cake onto a small platter. Carefully turn the cake over. Good for all seasons, right? How about you? What seasonal dish would you eat any time?